It is simple enough to do. 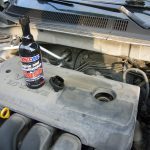 Pour the entire bottle of engine flush into the oil filler hole and idle the vehicle for 15 minutes. 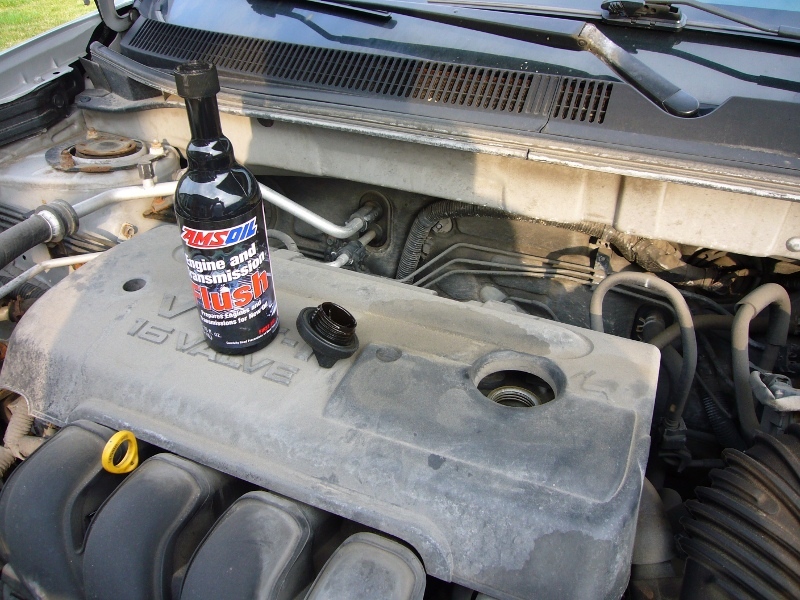 Then perform your oil and filter change as you normally would. 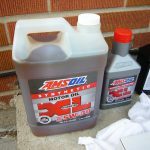 The added cleaners speed up the work the XL oil would have done and will allow me to extend my oil change intervals (OCI) faster than if I simply changed over to the XL oil without a flush. 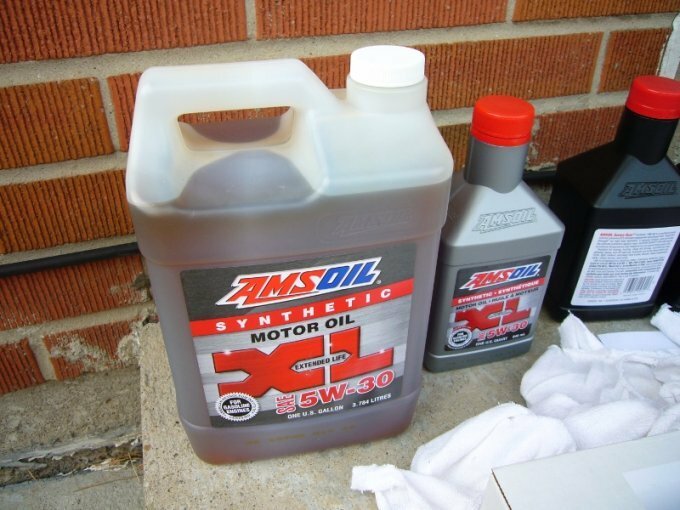 The plan is to run this oil for 5000km to clean up the engine some more and then do an oil change. 4000km after that do a used oil analysis to see if I can keep the second fill in for the full 16,000-km/6-months. Since Lauren puts a lot of hard miles on this vehicle driving the 401 every day we’ll see how it does – two oil changes a year is pretty exciting which means no need for a winter oil change – just spring and fall when the winter tires go on. Quantity was 4.2 L and the instructions for the vibe oil change are here.